As we search our weather apps for signs of spring, it is clear that 2019 is well underway, as are its trends. From tech trends to fashion and lifestyle, the new year is showing major signs of integration and revolutionary ideas, and co-working spaces are no exception to those innovations. While co-working spaces are still a relatively new concept to the working world, they have slammed the gas pedal from the get-go and are constantly evolving at a rapid rate to make an entirely new experience for the upcoming generations of career-hungry entrepreneurs. What started as small, convenient spaces for growing businesses has quickly turned into modern work environments, complete with top of the line tech and designed to promote productivity and a new-age way of office operations. 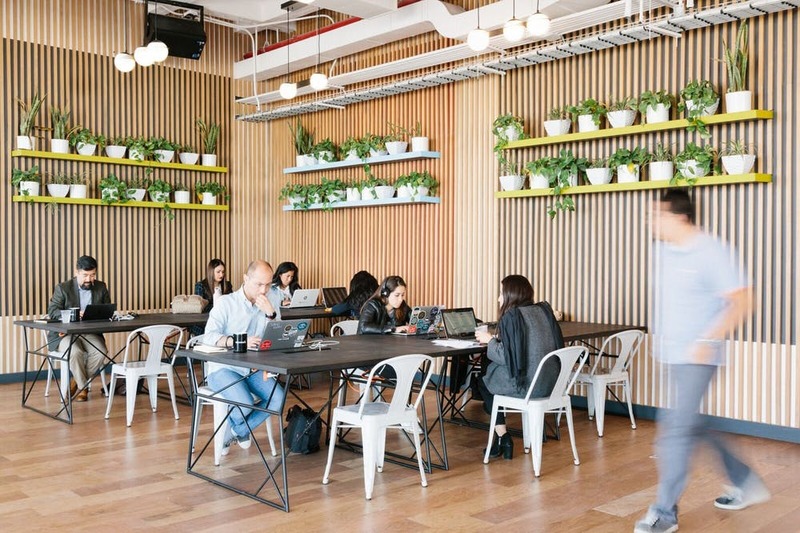 As the evolution of work spaces continues to snowball, here are some of the top trends we see coming in the co-working forecast for 2019 and beyond. 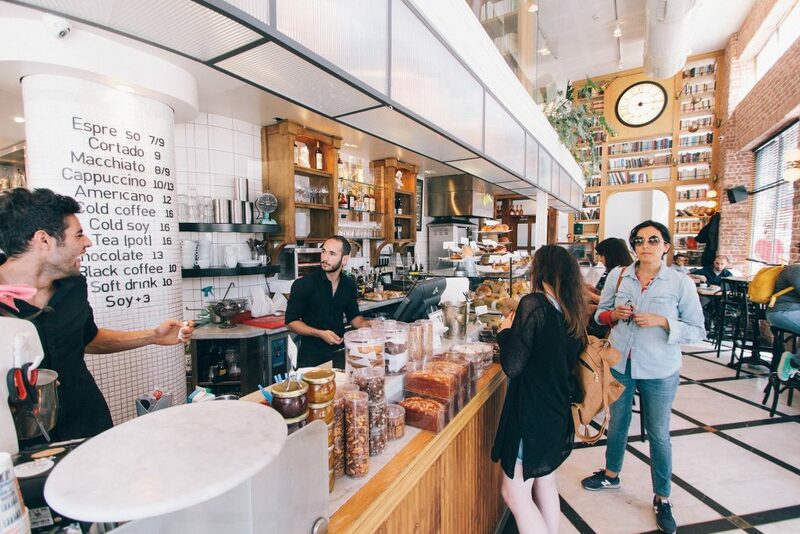 While some major co-working spaces have already started to integrate small cafes and food vendors into their locations, more and more are on the rise. Currently ranging from artisan lattes and muffins to small scale lunch spots, you can definitely expect see a major rise in this department. Allowing for working lunches, lunch meetings and every fuelling those late work hours, it won’t be long before you see full-scale food vendors moving in, and even major corporations such as Starbucks jumping in to monopolize on the work week traffic. As far as alcohol goes, many offices have Friday cocktails or even a company beer fridge, so it’s no surprise that vendors with a liquor license offering an end-of-day draft beer will be popping up more and more. Talk about Fri-YAY. As the job market and career world grow to be more competitive and hands-on for those climbing the ladder, a huge focus has been on health and wellness, both physically and mentally. With that idea, more workplaces are adding outlets to help promote better wellbeing for their employees. One of the biggest trends you can expect to see in the upcoming years in co-working spaces are things such as gym equipment, meditation rooms and even yoga areas. In fact, we predict that group yoga sessions and instructed meditation to be a massive trend before 2020 in shared work environments. This type of mental health awareness in the workplace can help to relieve mid-day tension, stress and anxiety, not to mention add a great social aspect to a workplace. We’re all for it, so start stretching and save us a spot! It is no secret that 2018 was definitely the year of female empowerment, and it shows no signs of slowing down in 2019 and onward. As women continue to flourish, more and more businesses are designing their practice to include women-only aspects. Female-dominated gyms, fitness centres, and even co-working areas are massively on the rise to ensure women feel comfortable and encouraged within the workplace. 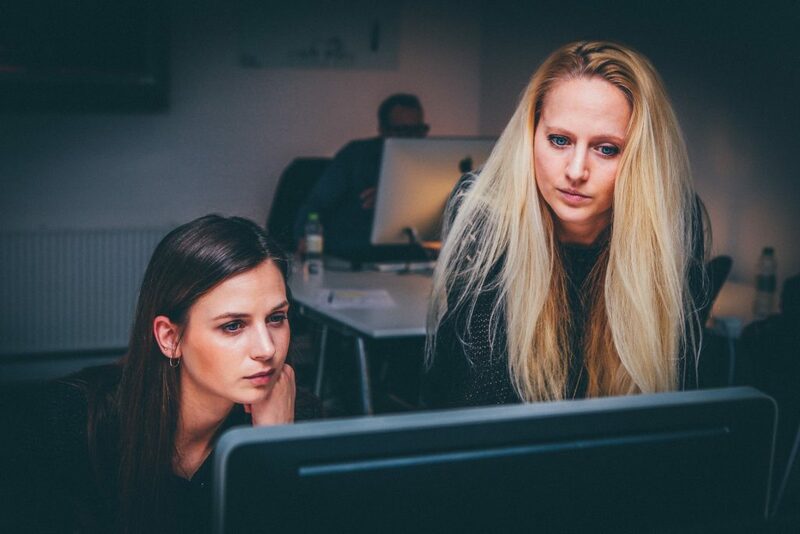 While the debate on equality’s reflection of women-only topics is still a bit sensitive, the concept of designating a women-only area in an office, especially co-working spaces which combine varying company values, are going to a huge trend in the near future. While women continue to step up to the plate with their voices and ideas, a safe-space concept is still a major interest for new business and work environments. Plenty of internet jokes and memes are floating around taking aim at millennials not being able to afford to have children in today’s economy, and they aren’t totally off-base. 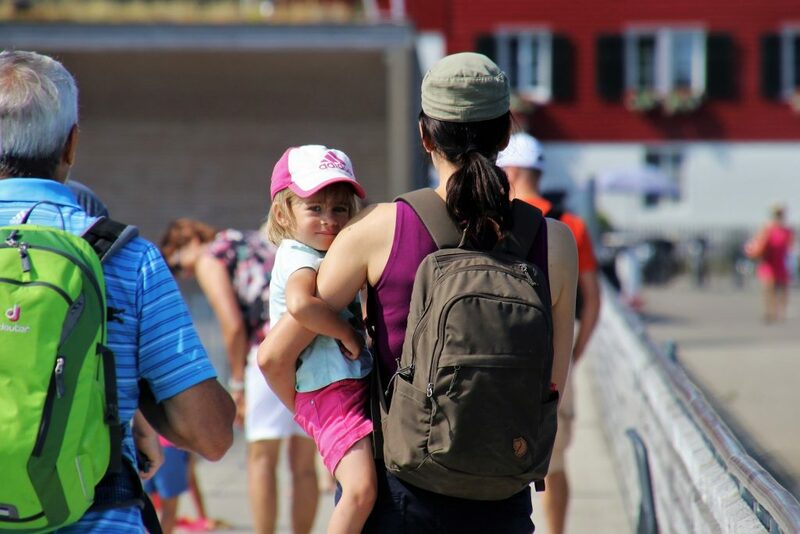 However, as the idea of a household with just one working parent went out the window, integrating convenient childcare into the work place came rushing in. While the trend is still very new, you can expect it to pick up steam quickly. Co-working spaces offering in-house daycare centres, most for an additional fee, will not only help parents with full-time work schedules, but also allowing an easier management of family lives, without interring with a productive workday. While it still may seem like a questionable concept, we see it as fantastic new take on a traditional idea and project it become extremely popular in the upcoming years. When something as revolutionary as co-working spaces starts to make headway, there is no shortage of expansions that can be made. From health and wellness to easing the lives of employees, the major trends of these office environments are showing the modern day advancements our economy needs. By updating the structure of how business and employees operate to match today’s societal and economic needs, it can allow for a limitless amount of growth and prosperity across the board. Thinking of making the switch to co-working for your business? Take a look at the huge variety of spots Spacie has to offer, all designed with you in mind.